The IHBC has enjoyed a long-standing partnership with conservation courses across the UK, encouraging training and professional development in built and historic environment conservation in line with established national and international practice standards, including those from ICOMOS and the World Bank. As part of our charitable services supporting conservation practice, we offer an independent cost-free ‘recognition’ programme for conservation courses. This entails a desk-top assessment of course content, submitted to us by the course providers, against the conservation philosophy and practice areas used to accredit and regulate IHBC members. The IHBC’s recognised course listing is a unique resource that both offers quality assurance in terms of course content and learning priorities, and serves as a support to help prospective students target their individual practice needs and priorities. The listing does not assess the operation of the courses listed or their delivery, as these matters change regularly and are best overseen by the host organisation. 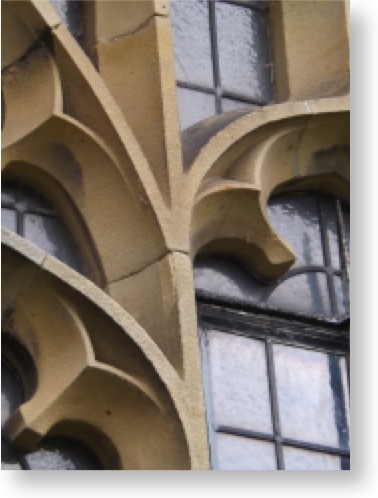 The IHBC’s constitution acknowledges that built and historic environment graduate and post-graduate conservation courses (or equivalent) that are recognised by the institute for their relevance to practice can contribute significantly to the skills required of a Full Member of the institute. Consequently, graduates of such courses with just two years of relevant professional experience can apply to become a Full Member of the institute. This compares with the five years of relevant practice required of other applicants. IHBC recognised courses also offer the substantial grounding in conservation practice that will help graduates secure the IHBC’s initial level of accreditation, Associate membership, which serves as the primary supported pathway to becoming a Full Member. Applications for Associate membership can be made at any stage in a career. Those seeking conservation accreditation as IHBC members can use the IHBC’s course recognition service to identify those courses that align with the IHBC’s membership criteria. Any courses seeking such recognition must have adequate and independent academic and other appropriate internal quality controls, usually provided by the educational body hosting the course. This means that the IHBC can then concentrate on its primary concern: course content. Courses recognised by the IHBC have undergone desk-top assessments that ensure that their content – including also their structure and educational strategy – aligns with specific areas of practice relevant to conservation. Prospective students can use this recognition service as a resource to help target their own specialist practice needs. Conservation courses reflect well the diversity of routes into the conservation profession (Link). Typically – though not always – a course reflects the practice priorities of a host department, section or institution. The IHBC welcomes this diversity of learning opportunities. However, where choices exist for students, this diversity can prove difficult to navigate for anyone planning their individual career path or learning strategy. Courses may be assessed for their relevance to individual practice needs and priorities by reviewing the online information offered by the course provider, and then in discussion with the relevant contact or course director there, ideally a member of the IHBC. For example geographical location and access, time commitments and cost. To secure or progress IHBC conservation accreditation, practitioners skilled in a specific discipline or area of practice may usefully extend their core skills by using recognised courses – or parts of them, such as free-standing modules supporting Continuing Professional Development (CPD) - to help address identified needs in specific practice areas. The process of identifying individual practice needs is described above. Practitioners seeking relevant courses may refer initially to those courses with ‘select recognition’ in the practice areas that correspond to their own needs and priorities. Practitioners should also refer to courses offering Full Recognition where those courses offer modules, CPD or stand-alone units in the practice areas that correspond to their own needs. Those educational structures can change frequently, and details should be explored by reviewing the online information offered by the course provider, and then in discussion with the relevant contact or course director there, ideally a member of the IHBC. More guidance on the recognition process is provided here. The lists of conservation courses recognised under the IHBC’s new procedure given below. Conservation courses and other professional training resources are here. Students interested in joining, and seeking concessionary membership rates, should look here.